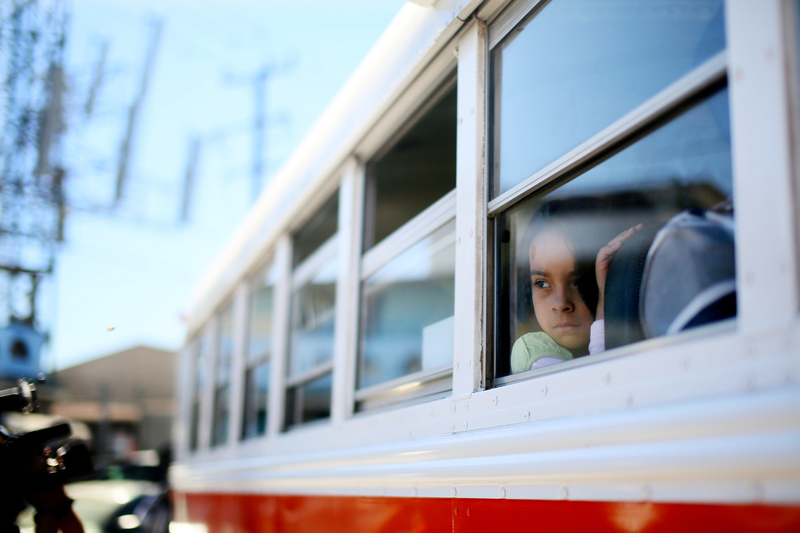 A young girl prepares to depart a bus with her parents before a protest at the U.S.-Mexico border during a Dream Act protest in Tijuana, Mexico, March 10, 2014. U.S. President Donald Trump is expected to revoke a Barack Obama executive order that protected almost 800,000 children of illegal immigrants from deportation, Reuters reported on Aug. 31. Trump may let people in the Deferred Action for Childhood Arrivals program, known as Dreamers, stay in the United States until their work permits expire. He could announce the decision as early as Sept. 1. Separately, the U.S. added 156,000 jobs in August while the unemployment rate rose slightly to 4.4 percent, the Bureau of Labor Statistics said on Sept. 1. Economists surveyed by Reuters expected a gain of 180,000 positions. Average hourly wages rose by 3 cents to $26.39 in August, while the labor-force participation rate remained steady at 62.9 percent. The manufacturing and construction sectors saw the biggest employment gains. Payrolls for June and July were revised lower by 41,000 positions.